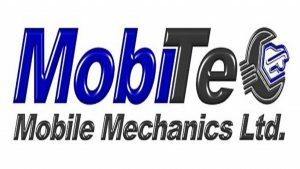 Mobi Tec Mobile Mechanics Ltd are mobile mechanics based in Cardiff, specialising in vehicle servicing and repairs. Our mechanics make maintaining your pride and joy a simple and pleasant experience. If you’re looking for quality car servicing from reputable, professional mobile mechanics then you’ve come to the right place. Mobi Tec Mobile Mechanics know how expensive maintaining your daily drive can be so we offer value for money car servicing in Cardiff and South Wales. We understand that it is a major inconvenience when your car breaks down, which is why we offer value for money car repairs in Cardiff, Bridgend and Newport. As our mechanics are fully mobile the vans are equipped with all the tools they need to complete car repairs just about anywhere. We understand how frustrating it can be when your car breaks down which is why we offer 24 hour car recovery in Cardiff and the surrounding area. Other recovery companies may keep you waiting hours at the side of the road but we aim to be with you within the hour. We have made getting your MOT as simple as possible; we will collect your vehicle from your home or place of work and deliver it back to you after the MOT is complete. It couldn’t be any easier. We will schedule a convenient time with you to collect and deliver your vehicle so you can get on with your day without having to worry. You can book an MOT within 28 days of its due date so contact us now to make an appointment at a time and day that is best for you. We all know running a business can be costly which is why we offer quick and hassle free commercial vehicle repairs in Cardiff at a low cost. Our mobile mechanics will complete the repairs at your home or place of work saving you valuable time. Mobi Tec Mobile Mechanics have experienced mobile motorcycle mechanics who will service and repair your motorcycle with the minimum of fuss, getting you back on the road as quickly as possible.